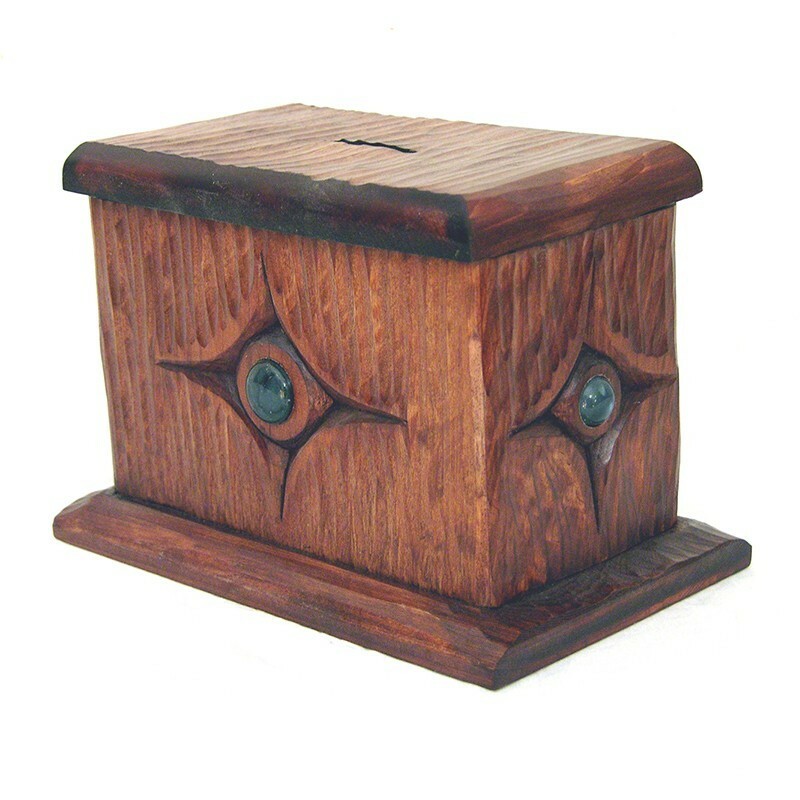 A variety of dovetail tzedakah boxes are currently available for sale. 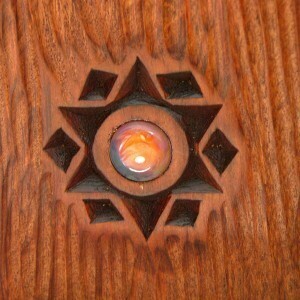 Please inquire for availability. 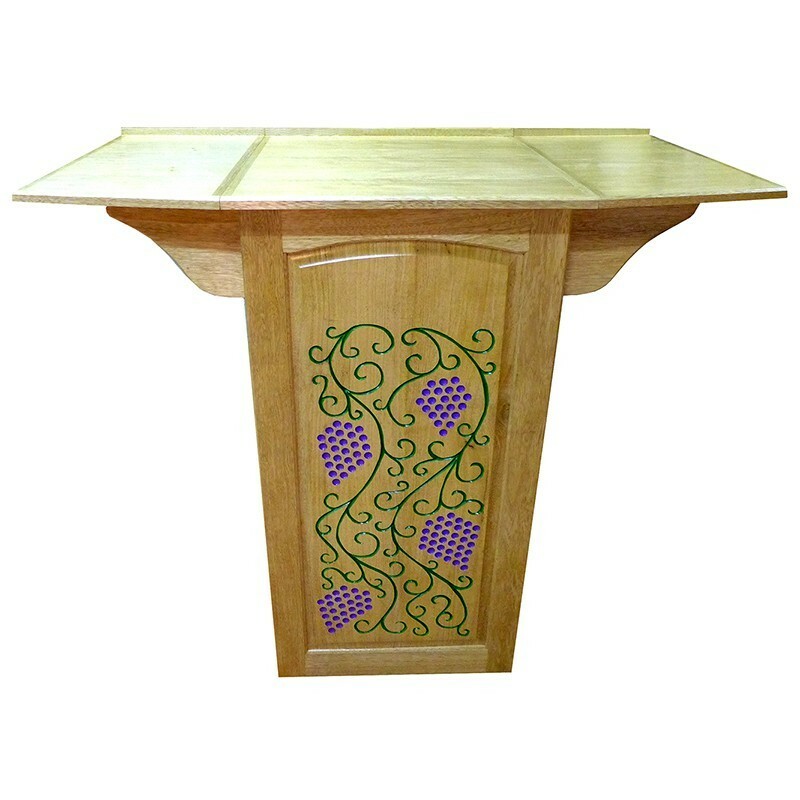 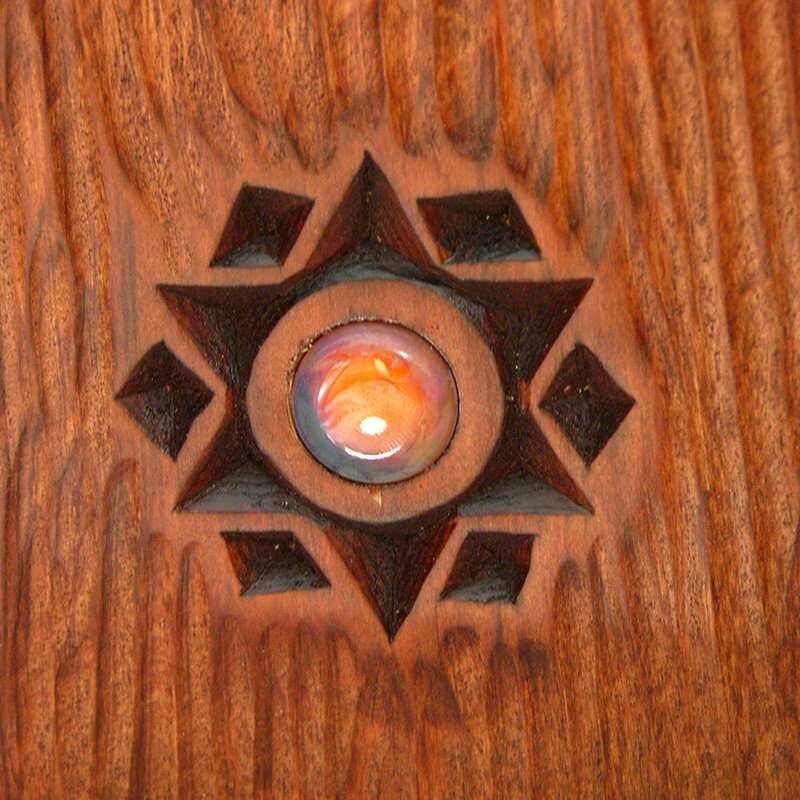 Custom carving and stain can be ordered, price may be more or less than listed price depending upon the detail work. 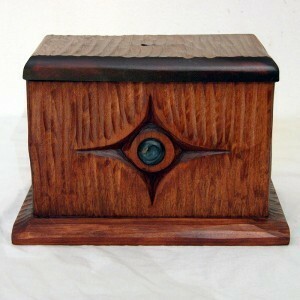 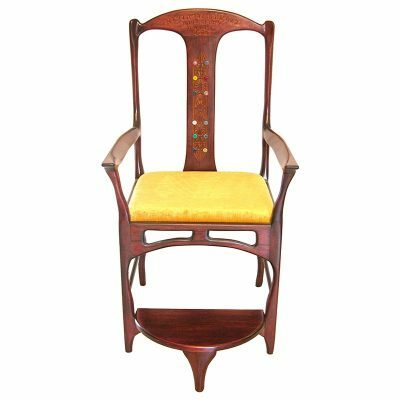 Available in dark or light finish of Yellow Cedar. Custom engraving can be for gifts on the box or beneath. 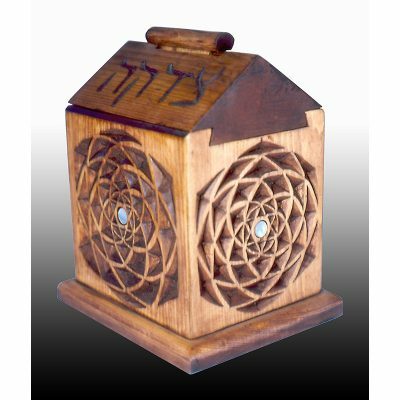 Inquire about other custom options for tzedakah boxes. 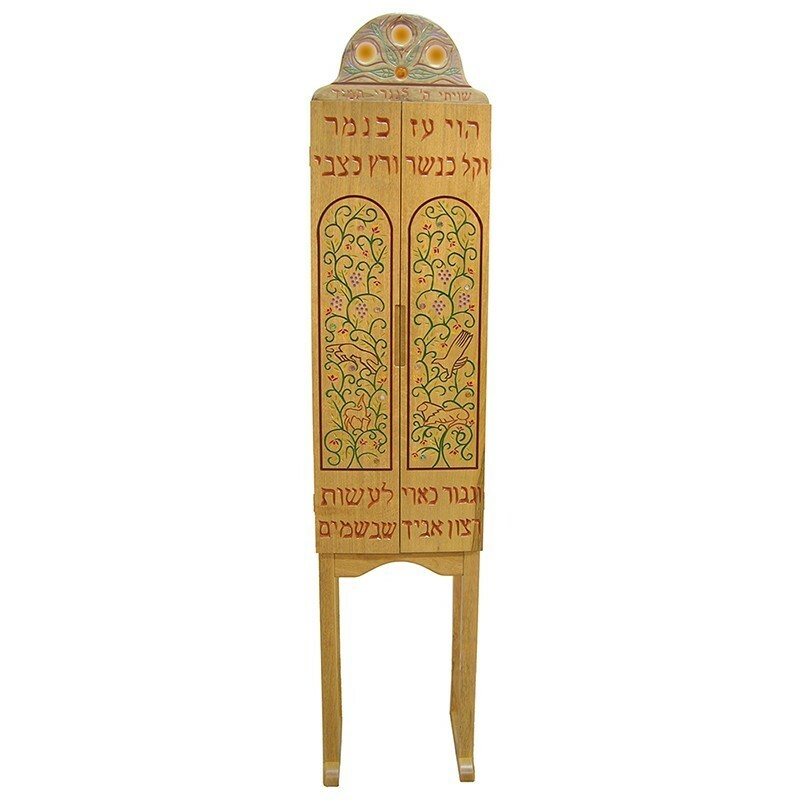 Each charity box is built from the finest materials by Bass Synagogue Furniture jewish craftsmen with durable lacquer finish.